F.A.I.T.H. - Colleen Humphries - F.A.I.T.H. 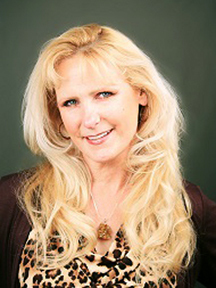 Colleen Humphries is an RN, Reiki Master, author, and certified Law of Attraction Life Coach for nurses and other professional women who are suffering from the burnout that affects their lives mentally, emotionally, physically, and spiritually. After working with Colleen, these women feel alive again, are able to take back control of their lives (personally and professionally), return to balance, and regain what is really important to them—time for themselves and their families. Through teaching Jack Canfield’s Success Principles, Colleen helps her clients to go from where they are to where they want to be further, faster, and with less effort. She has recently started working with women who are experiencing the money-burnout-blues, guiding them to experience abundance in all aspects of their lives. One of her passions is putting on seminars on Burnout Relief and Principles of Success that are very experiential to lock in the learning to show the participants how powerful they really are. Colleen is the author of the free eBook The ABCs of Deliberately Creating Your Life and the free article called Your Rx for Relief from Burnout, which are available on her website. She is currently working on the book No Longer Creating by Default, The ABCs of Deliberately Creating Your Life. You can also hear Colleen on her radio show Think About It, an all-holistic, alternative, outside-the-box, and universal-law based program to give the listeners something to “think about” to move them forward in their lives.